And a breadfruit tree. Breadfruit is starchy like a potato and doesn't have a lot of flavor. 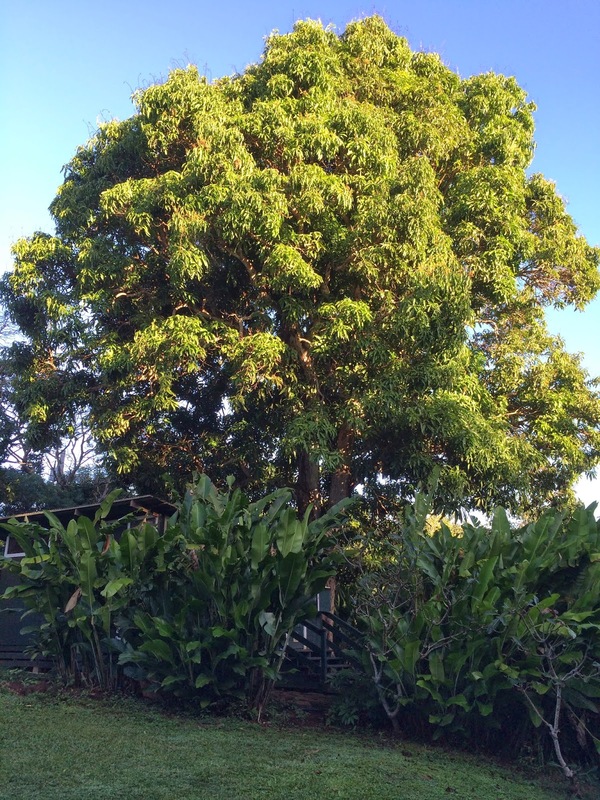 Hawaiian tradition is to plant a breadfruit tree in the backyard when you buy a house because it can sustain your family through a time of famine. 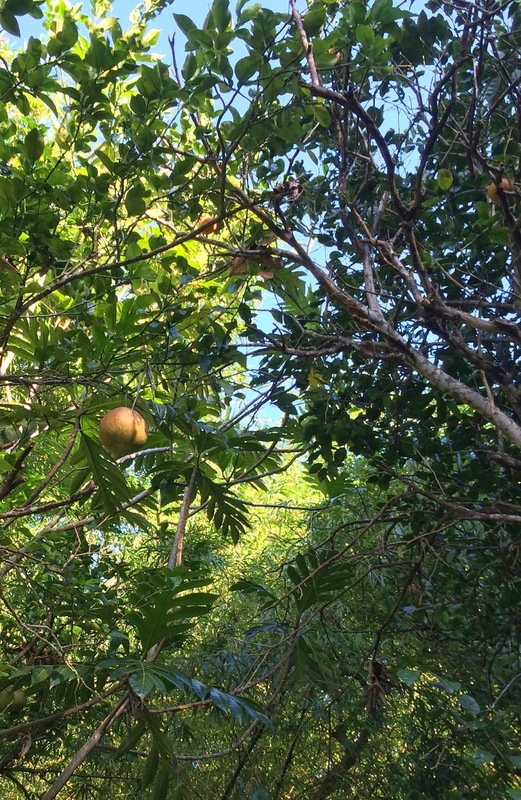 Like potatoes, breadfruit can be eaten at any time during its development and the longer it stays on the tree, the bigger it gets. Eventually, if left unpicked, the fruit will become sweeter as the starches convert to sugars. One breadfruit is the equivalent of about eight medium potatoes. After cutting three breadfruit off the tree, I noticed a white sap started gushing out all over the place. I looked up on YouTube how to prepare breadfruit and opted to try frying them in coconut oil. I peeled and sliced the fruit up into strips like fries and soaked them in cold salt water. Once all sliced, they were dropped into the heated coconut oil. They were pretty good and picked up the taste of coconut. You don't see breadfruit in the grocery store here because it has about much flavor as tofu (don't ask me why we see tofu in the grocery store). We also stopped by a fruit stand and picked up sugar cane and fresh coconut. I cut the sugar cane into strips which can be chewed on. The coconut meat was very soft. It was like eating coconut-flavored jello. 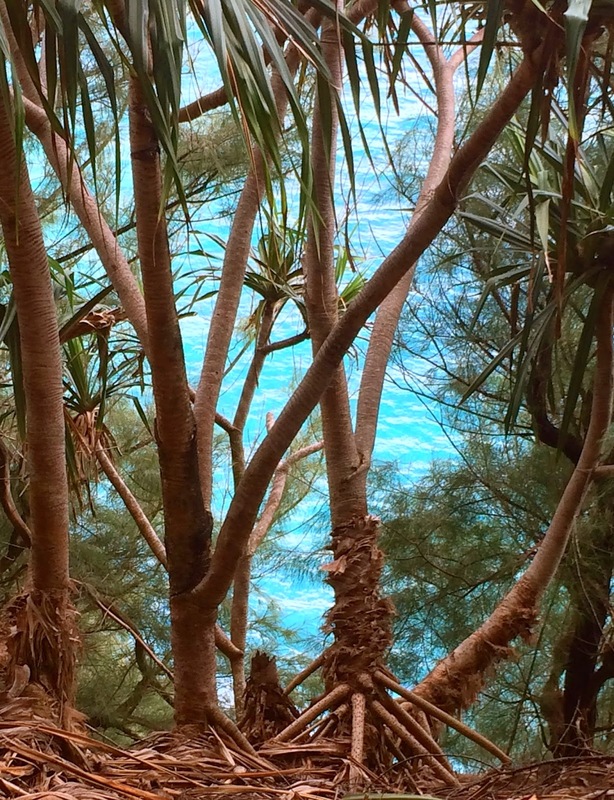 Alas, my series on Hawaii has come to an end. If you've never been to Hawaii, I hope you will be able to visit some day. There is no place quite like it. Mahalo! 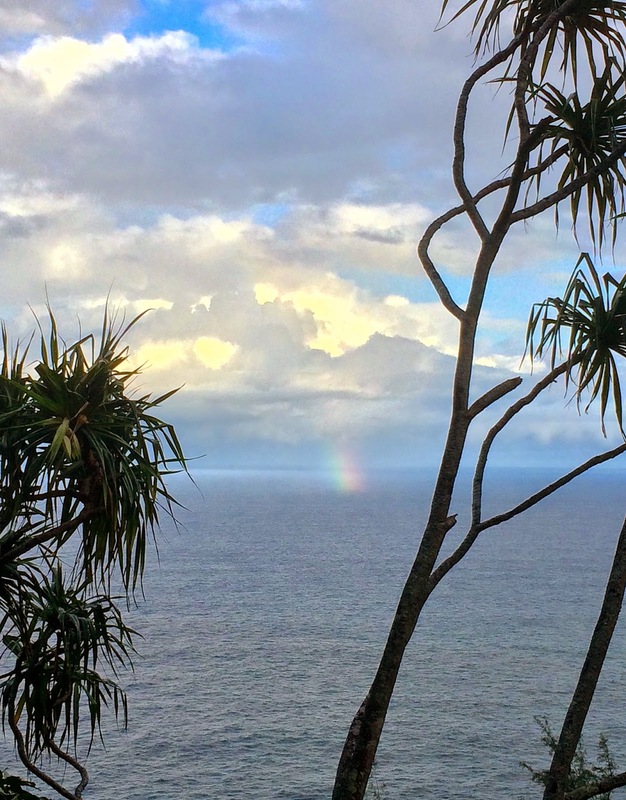 The Nā Pali Coast is well known for its sheer cliffs rising high above the vast ocean below. 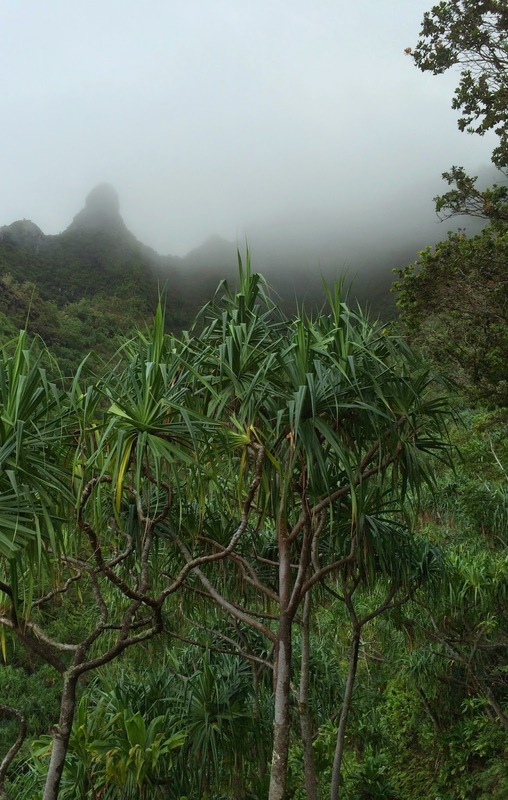 Incessant rain, wind, and pounding waves have sculpted the land into a ruggedly idealized tropical paradise. The only way to explore it is on foot. At the trailhead, we were warned of falling rocks, steep muddy cliffs, and flash floods. At least there were no jaguars to worry about. 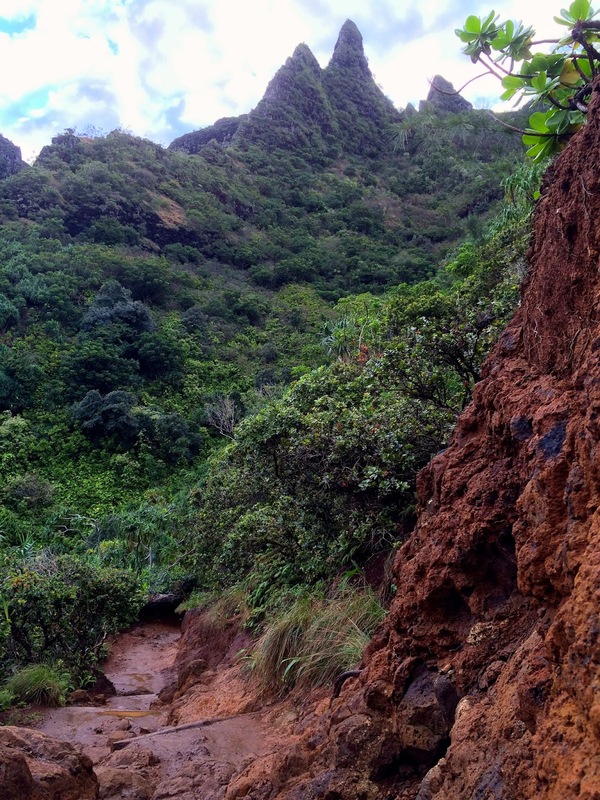 I was hoping to make it to Hanakapi`ai Falls but we ended up just going to Hanakapi`ai beach. The mountains are very steep, yet still completely covered in vegetation. The water was pristine blue. 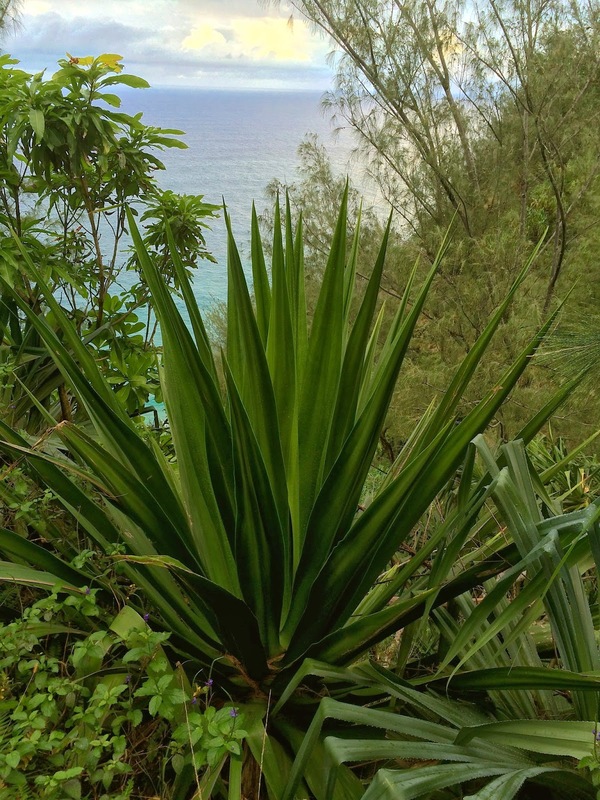 Some plants (such as the screw pines) were absolutely everywhere, and then there would be lone specimens - this was the only Furcraea foetida (Agave relative) I saw on the trail. 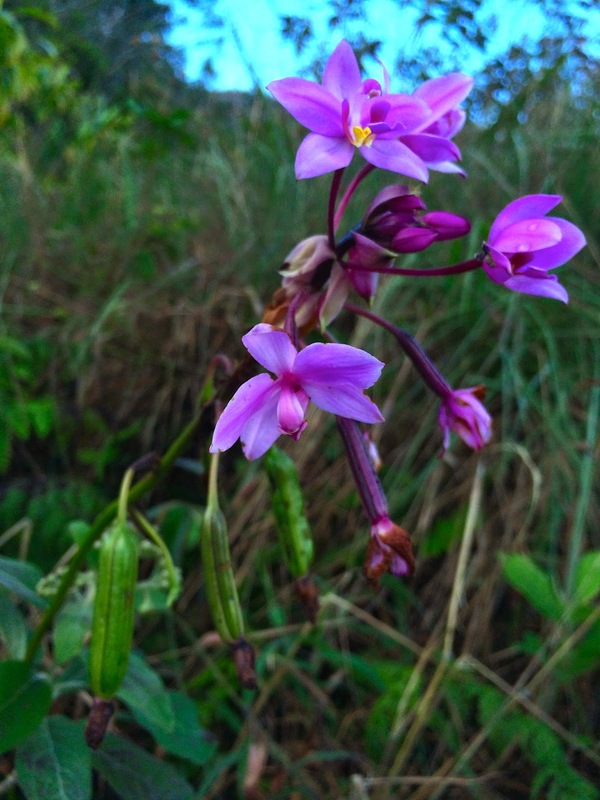 This is one of a small colony of orchids. Parts of the trail were of stone laid back in the 1800s. 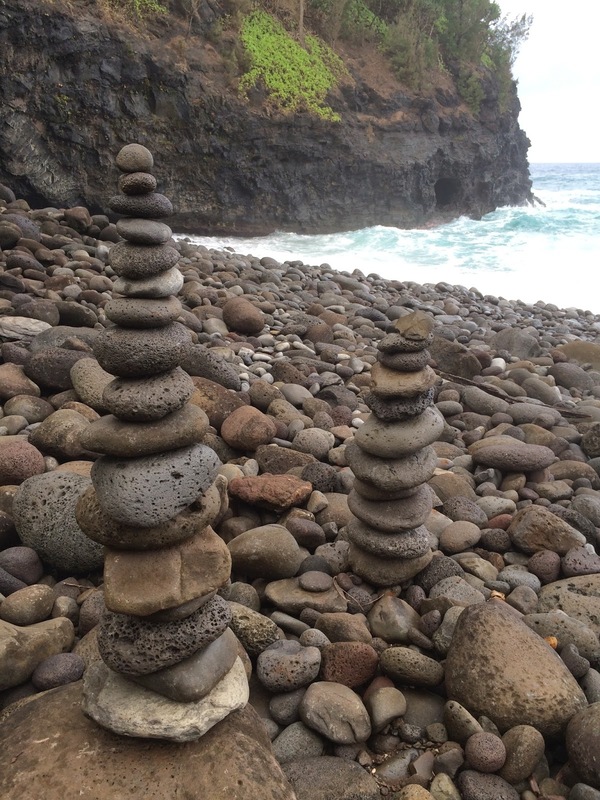 At Hanakapi`ai beach, I had a rock stacking contest with my brother-in-law's dad. I'll let you decide who won. So we headed back and dried off after getting a good soaking. By the time we got back to the trailhead, it was sunny once again. On another day we drove to Waimea Canyon which is only a couple miles away distance-wise from the Nā Pali Coast trail but the only way to get there is to drive all the way around to the other side of the island. The road kept going along a high ridge which eventually let to Hanakoa Valley.